Do you ever feel like you made something years ago but it didn’t get the credit it deserved? As a food blogger, I feel this way constantly. By credit, I don’t mean that it went viral over the interwebs. I mean that it didn’t get shared with many people because at that time Broma Bakery was a baby blog. In fact, many delicious recipes live in a dusty corner of my blog, never to be seen or heard from again. So today I decided to revive an old favorite recipe of mine: Banana Lavender Bread. You see, when I made Lavender-Infused Banana Bread 1.0, it was a total hit in our household. I must’ve made it three times. And to make something three times as a food blogger you know it’s good. It started as a low-fat banana bread that later became my go-to recipe. But to give it a twist, I infused lavender in a brown butter and mixed it into the bread. To top it all off, I made a lavender simple syrup and brushed it all over the baked bread. Oh man oh man was it good. Don’t add extra lavender — Lavender is a love it or hate it kind of flavor. If you love lavender and are thinking you should add extra to this recipe to amp up the flavor, DON’T. 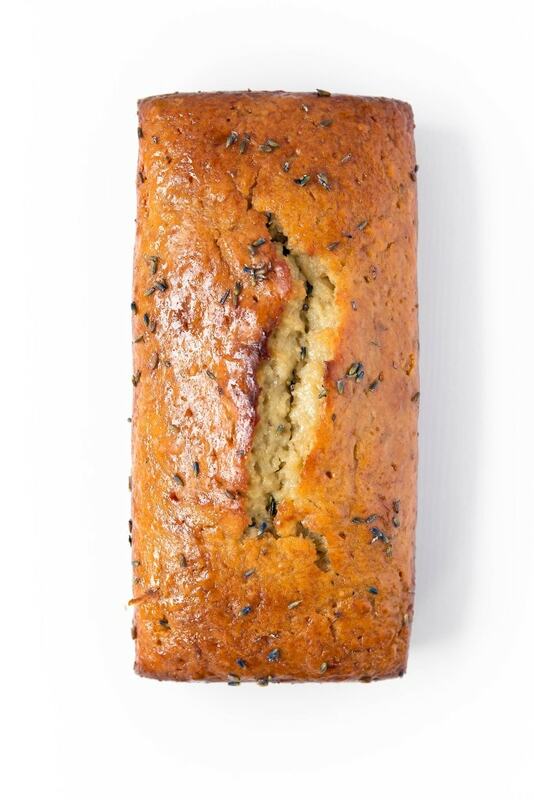 If you add more lavender than this banana bread recipe calls for, your loaf will quickly begin to taste like soap. Take the butter off the heat as soon as it starts browning — Making browned butter can go from ‘yum’ to ‘oh crap’ really fast. As soon as the butter turns a lovely golden brown color, take it off the heat immediately. Glaze while the bread’s warm — As soon as the lavender bread comes out of the oven, poke it with a skewer a bunch of times, going about halfway down the loaf. Pour the lavender simple syrup over top while the bread is warm so the syrup can more easily soak down into the bread. This lavender bread will keep on your countertop for a few days. But because of the simple syrup on top, this bread might not keep as well as your typical loaf of banana bread. I like to reheat leftover slices and enjoy them with a cup of coffee. Preheat the oven to 350ºF. Line a bread pan with parchment paper. First, cook 2 tablespoons of the lavender on high heat for about a minute until it begins to release scent. Then, turn the heat down to medium-low and add the butter to the pan. Allow to cook for 2 minutes, stirring occasionally. Your butter should begin to brown and small deposits should form on the bottom of the pan. Once the butter is a medium caramel color, remove from heat and strain out the lavender through a fine sieve, catching the butter in a bowl below. Reserve about 1 teaspoon of the strained lavender. In a medium bowl, combine the flour, baking soda, and salt. In a separate bowl, mix the eggs, yogurt, sugar, infused brown butter, and vanilla. Fold in the mashed banana and reserved teaspoon of cooked lavender. Gradually fold in the flour mixture. Pour the batter into the bread pan and bake for 1 hour, or until a knife inserted in the center of the bread comes out clean. While the bread is cooking, make the lavender syrup. In a small saucepan on medium heat, make a simple syrup with 1/3 cup sugar and 1/3 cup water. Once the sugar dissolves completely, add in 1 tablespoon of lavender. Cook for about a minute, until you can smell the lavender. Set aside. Once the bread finishes cooking, use a small skewer to poke ~20 holes all over the bread. Place the bread on a wire cooling rack and brush the lavender simple syrup over the top of the bread, then over each side. Allow to cool for 15 minutes, then serve! 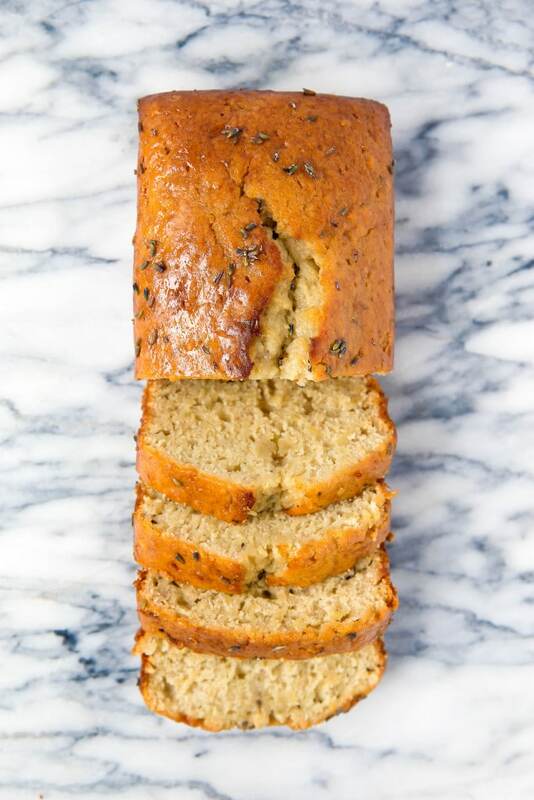 Lavender in banana bread?! That is new to my face….but a new thing that NEEDS to happen! 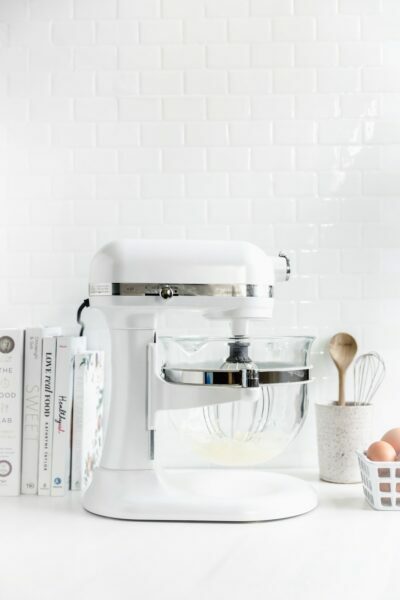 I totally feel you on wanting to give old recipes some new lovin’ and I am glad you did! Pinned! Hi Sarah! I have a question about your recipe. In Step 2, you ask us to Reserve about 1 teaspoon of the strained lavender. In Step 3, we’re instructed to Fold in the mashed banana and ½ teaspoon of cooked lavender. Where is the other ½ teaspoon of cooked lavender used? Hi Joanne! Total typo on my end. You should use the full teaspoon. Hope you’re well, and let me know if you make the bread! When I make something more than 2 or 3 times I KNOW it’s awesome. 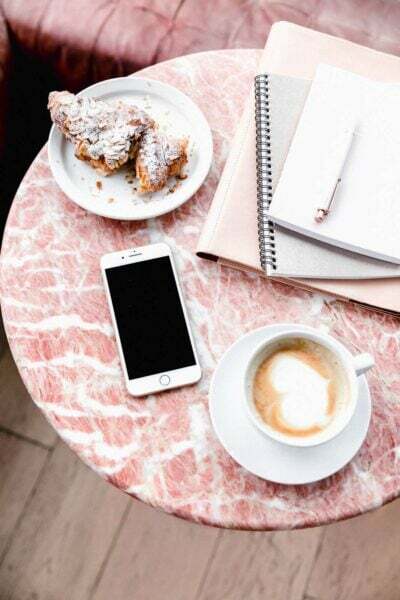 Total food blogger problem right there – no time for repeats! Glad you dusted this one off. And you are just killing it with the lavender lately! Thank you lady!! Dust off- haha. That’s exactly it. I almost bought a lavender plant yesterday as part of my herb garden, but I passed on it. Looks like I’ll be going back for it because this looks perfect! I’ve never cooked with lavender, but banana bread with simple syrup brushed on? Boom boom POW. Abby you HAVE to get it! Lavender is just my favorite. This banana bread sounds divine. Love the floral twist! This looks beautiful, I love the incorporation of lavender! Sarah, I LOVE this Lavender Banana Bread!!! I’m so glad you shared it here again!! Simply beautiful! Thanks, Alice! I mean, I couldn’t let it sit in a corner forever! So glad you are reviving an old favorite. This banana bread looks gorgeous, Sarah! Love the lavender syrup and in the bread! Thanks Kelly! The syrup soaks right into the bread, making it so floral! What a great way to use lavender! This sounds wonderful! OK lavender in banana bread? That’s incredible!! And I am so glad you revived this since some of us are new around here!! Thanks, Beeta! I totally agree in that you wouldn’t think of it, but damn is it good! I’m with ya, girl. Do it! Thank you Medha! It adds the best flavor! Oh have mercy on my soul, Sarah! This is one babely looking banana bread–and with lavender? Slay me! I can’t even. You know how I feel about lavender.. and to put it in banana bread?! Slam dunk. I have to try this recipe! Girlfriend you HAVE to! OMG- what about with some lavender almond streusel?! YES! And I’ll throw in some the Coconut Lavender almonds! 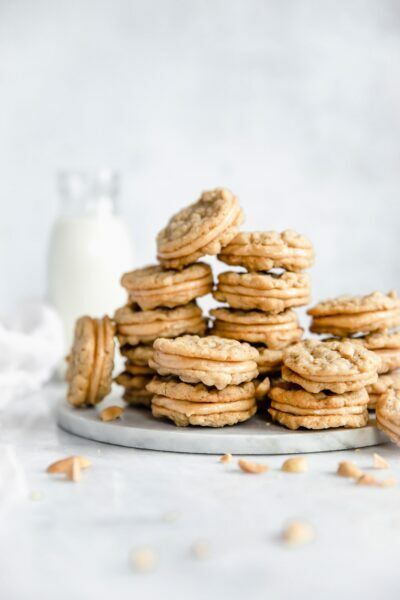 If it’s not broken, don’t fix it and this recipe definitely isn’t!! It looks amazing. I’ve truly got to give this a try. It’s one of my favorite flavors. So perfect or summer! This is just so yummy. I completely understand about old recipes getting lost. I am still in the baby stages (or at least I feel that way) and just hope things don’t get too lost down the line. Unless you have lots of fans like me who stalks the blogs of food bloggers I like and goes through all the oldies lost in the archives. I am so glad you revived this bread because it is just so incredible sounding. I need to make this happen in my kitchen! Awww, you’re too cute! And seriously, I feel like I want to start an archive revival section. Sign me up and give me a few slice stat! Love this girl and so glad you revived it. Just when I think I have tried every banana bread flavor combo out there..someone comes up with something else. I love baking with lavender, and this sounds absolutely divine! It’s such a fun combo! Girl, so I have a whole bottle of lavender that has been waiting for a recipe! I’m soo making this over the weekend! I mean, it’s fate. You have to! Oh you have to! Let me know what you think!! 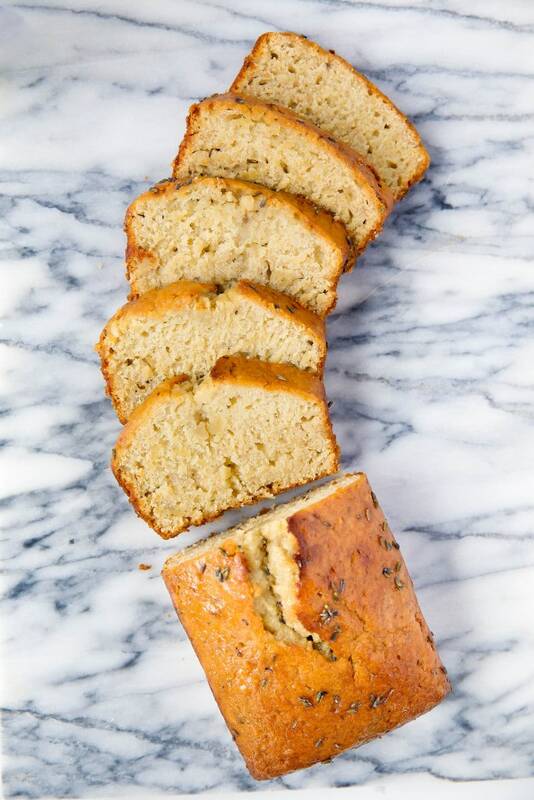 I need this lavender bread in my life right now. A big YES to this. Looks absolutely delicious. What a delicious looking bread! I’m always looking for inspiration to make new banana breads. Use of lavender with banana is really a good idea! Thanks for sharing, Sarah! Yes I have often felt this way. There are so many recipes I would totally redo and repeat so more people can understand how fantastic they are. This bread is a masterpiece. Thank you Jocelyn! Glad I’m not alone. There needs to be a repeat post option or something! OMG, my previous comment did not go through… This bread looks so delicious and unique! Great job Sarah! Love to, pinned! So we have a lavender farm and bakery right around the corner from our home… it’s glorious! I’ve only baked with lavender once and it was phenomenally delicious, I think it’s time to whip out the culinary lavender again! Delicious bread… and I know it’s so moist! It’s the banana!! Yeah! OH – that first shot… the bread is floating.. floating like its light as a cloud.. ! Love it, Sarah! Thanks Christina! You’d just love this bread, then! Genius! This looks so delicious, moist and flavorful. I never thought of pairing bananas and lavender, and I like to lavender up everything I can! Love the new site redesign- so happy you went with Jenn! It’s a stellar combo! And thank you thank you. Jenn was amazing and I so appreciate the tip off! I’m normally wary of lavender-infused anything because I don’t really want my sweets to taste like hand soap…but I trust. Implicitly. No way. You’re missing out, lady!! Lavender anything is amazing. But dang this bread looks fantastic!! Question: you say in the recipe for the dough to use dried lavender, then in the part for the syrup, you just say lavender. Is it calling for dried lavender, or lavender oil? Hi Rachel! Both are dried lavender. I’ve changed the recipe to reflect this. Sorry for the confusion! Im looking for breads I can freeze. Plus I’m making them in mini, real mini size like three bites. For my renewal vows tea party foods. So anything I can make ahead and freeze is great. Plus, paper on bottom only or all sides. Easy for large loaf but not so with minis if needed on sides. First time ever writing. 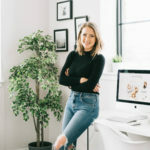 Sign me up to receive Broma blog posts straight to my inbox! Hi! I’m Sarah, and welcome to Broma Bakery -a fine mix of indulgence with a whip of sweet resources in between. To learn more about me, click here!